First I would like to point out that I really don’t like to make general statements in astrology since every single natal chart is different and the same aspect between two planets can plays out totally differently in Person A chart than in Person B chart. Second, when it comes to infidelity or cheating, I do believe that this is an act of personal decision that is usually driven by complexed momentary emotions. However there can be some astrological conditions that can make someone more ‘cheatable’ or can awaken someone’s lust for cheating. Do you want to know if your man has astrological potential to cheat? When it comes to astrology and infidelity, I always consider man’s Moon, Venus, Mars and Neptune and also condition of males 7th House (although also 5th and 8th are playing great role) in natal chart. Both planets are extremely feminine planets; Moon represents feelings, Venus is all about giving and receiving love. If they are in hard aspect to each other (square, opposition in a lesser degree) in male’s natal chart, than he has troubles finding balance between emotional and physical needs. These natives could have quite some trouble to find the right partner to fulfill both sides of their need so they might just simply choose to have two partners. They can be a living proof of Madonna-Whore complex. Having Neptune (a planet of illusions and idealization) in hard aspect with Venus (planet of love) can lead someone to unending search of his or her soulmate. Neptune leads to daydreaming and with Venus this native constantly dreams about an ideal partner. However in real-life-relationships are anything but ideal, right? There can always come to conflict and we need to learn how to solve relationship problems, how to stay in a relationship and learn from it. 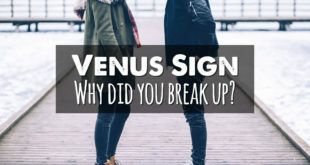 When it comes to disagreement in a relationship people with Neptune and Venus in hard aspect will rather choose to leave this relationship than to deal with it. Venus in Pisces reacts similar to Neptune-Venus hard aspect. People with Venus in Pisces could have tendencies to cheat, however their ‘specialty’ is that they won’t admit this to you. What makes Pisces special is that they won’t try to hurt you (I really do like Pisces because of their ability to help unselfish to other people in any kind of situation!) and probably won’t tell you for their infidelity, however ‘when the time comes’ they will try to push you into the arms of other person so that their infidelity won’t hurt you that much. You see, they would rather see you to leave them as they leave you. Mars in fire (Aries, Leo, Sagittarius) or air (Gemini, Libra, Aquarius) signs needs constant stimulation or some kind of change so that things don’t get boring. Also in love – they crave for excitement, entertainment (especially true for natives who are younger than 30, who haven’t had their first Saturn Return yet). If Mars in fire sign cheats it is because an opportunity arises and he grabs it – you know, they simply hate to miss anything that could offer them extra fun or excitement. Meanwhile Mars in air sign will probably cheat out of intellectual boredom. These natives simply need mental stimulation in order to keep things (relationship for that matter) fresh, new. This is the House of partnerships in general so people who have Neptune (planet of illusion) or Uranus (planet that needs freedom) there, could have some difficulties when it comes to committed, long-term relationships. Neptune here gives unrealistic expectations of how a relationship should be like (any kind of relationship, not just love related) and when native sees that his (too high) expectations can’t be meet in this relationship, he simply leaves the relationship since it becomes ‘too hard work’. With Uranus in the 7th there is a different story. Uranus needs excitement, feeling of freedom and constantly looks for ‘something new’. Relationship can easily become too boring, ‘too old’ for someone with Uranus in 7th House so these natives constantly look for something new, even if it means outside of the relationship – do you see where I am going with this? And again, people! Please, do not make any conclusion based ONLY on one single configuration. Or two or five for that matter! A few aspects are NOT enough for infidelity to occur. For example: I myself have a Capricorn Venus squaring my Aries Moon (You cheater, cheater, right?! Wrong! ), and for woman having the Moon in Aries there is a ‘red-flag-warning’ that she could cheat. However my Venus in Capricorn in conjunction with Saturn would never allow me to cheat since I yearn only for committed, long-term relationship. And also a synastry should be seen before making any conclusions about relationship stability. 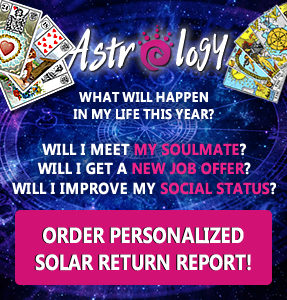 GET YOUR PERSONALIZED COMPATIBILITY REPORT WITH YOUR SIGNIFICANT OTHER HERE! Have you ever cheated? 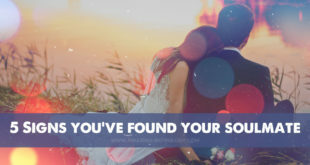 Or where you the one who was cheated on? Does any in this article resonate with you? Please, do share your thoughts with us! Please, help me SUPPORT this site to remain FREE with small donation, at least for a cup of coffee that I will drink while I will be writing next free article for you. Please, choose the amount of donation or enter your own amount of donation below! From what I understand, infidelity is mostly associated with Uranus and Neptune aspects and transits, more specifically Sun/Uranus, Mars/Uranus, Sun/Neptune, Mars/Neptune ones. Also, Sun in Aquarius or in the 11th house, Mars in Aquarius or in the 11th house, Sun in Pisces or in the 12th house, Mars in Pisces or in the 12th house. Uranus – commitment phobia, restlessness, constantly seeking out new things, inability to form healthy, monogamous relationships. Neptune – deception, lies, foggy mind, fantasy, delusion. I agree with you, Anna. Great insight! However, one should always take a look to “the whole picture” ergo whole natal chart before condemn someone of being a serious potential cheater. Thank you for your helpful answer, Rebecca!